Bella Union is very pleased to announce that we will celebrate this year’s Record Store Day with new music from Van Dyke Parks. 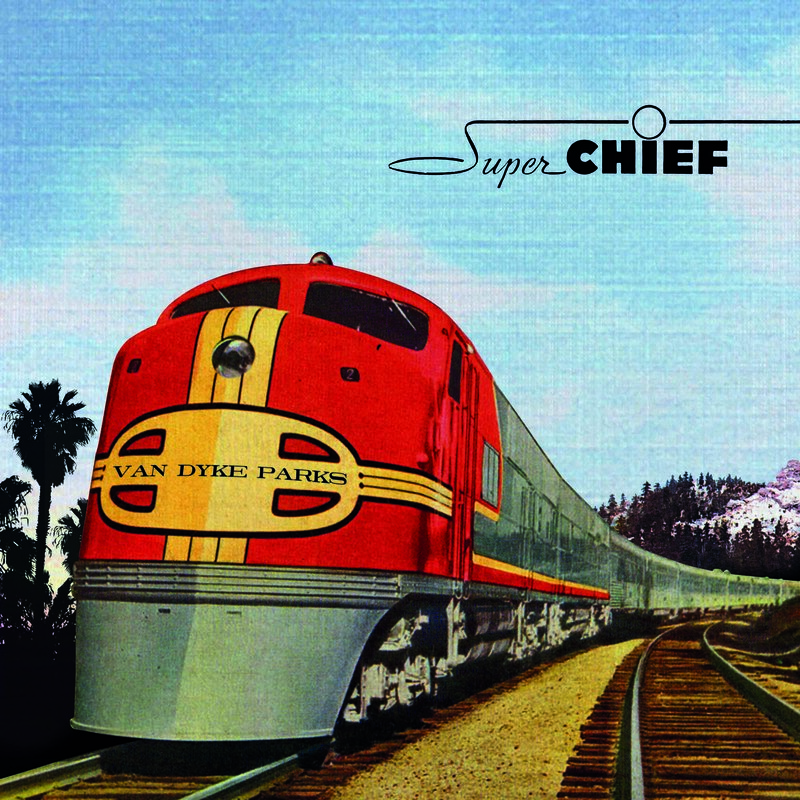 Super Chief: Music For The Silver Screen is an ‘orchestral fantasy’ inspired by a rail journey Van Dyke embarked upon across the United States in 1955 and will be made available for the first time on very limited vinyl on Saturday 20th April. Music for the Silver Screen! I’ve made an orchestral fantasy illustrating my first trip across the U.S.A. by rail, in 1955. This Suite is drawn from over a score of years, and as many films, now re-recorded from my archives as a film-music composer.. Most of this music has been faintly presented, under the din of horse hooves, gunplay, and voice-over. Much of it has never been heard before, having ended up on editing room floors from entirely re-cut films, or movies that never made it past a box office. I felt it was high time to give it a proper listen. As I pondered the amazingly broad array of genres available, the challenge was what not to include. Quickly, it all simmered to clarify like butter, reducing to my impressions of that first epic rail-ride I took across the United States. In editing, I was surprised to discover my penchant for folk themes, reframed in orchestral settings. (There are countless quotes from the 19th century “The American Century”). The lingo of such traditional American music reveals my obsession, however unconscious, for rustic old saws that can still cut the wood. Yep, it’s Americana. All made in the great 48. Celtic examples abound: “The Water is Wide”, “Old Joe Clark”, “The Forked Deer”, “Saint Anne’s Reel”, “I Ride an Old Paint” etc. With these references, a dash of low-church hymns (“Goin’ Home”) and an occasional Aboriginal motif, all embedded in this novel and singular Ode to that passing American scene….so long ago, yet about a handshake away. As to the hyper-romanticism of this dream escape? Guilty as charged. And why not? My first impressions from the three days’ journey that introduced it to me was pure romance. My only creative license in these titles? The introduction of Joan Crawford. Miss Crawford was nowhere near that luxury liner I took that year. Yet, I’d met her even before I embarked, and I knew she’d ridden on other Super Chiefs. Rail then was the exclusive way that stars rode West. (The “Super Chief” era was a full generation before Pan Am and TWA brought trans-continental travel to the skies on the propeller-driven Lockheed Constellation). It’s been said: “Never judge a book by its movie”. The same mercy may apply to music that springs from the Silver Screen, where it’s often more felt than heard. Lest we forget. So I’m content, just that this music may be felt, only in a purely audio setting. It can come in handy as a backdrop to a romantic interlude in candle-lit dinner conversation over a fine linen-count. (I’ve tried this at home). Perhaps for a head-set in a subway tunnel, or as a car-tune in a smooth segue from the surrounding road-rage on a daily commute. Songs Cycled, a new album from Van Dyke Parks is also to be released on May 6th, with a UK date in London at Alexandra Palace on May 5th (at ATP curated byGrizzly Bear).